Lenamaye Williams, 89, Whiting, died Tuesday, Oct. 21, 2014, at Medicalodges Jackson County. She was born June 19, 1925, in Netawaka the daughter of Carl and H. Leona Prewett Jones. She graduated from Wetmore High School in 1943. She had lived in the Whiting community since 1970 and had lived in Wichita for 23 years. Mrs. Williams was a secretary for Occidental Life Insurance Company and was an executive secretary for Westholt Manufacturing, both in Wichita. She also served as Whiting City Clerk. 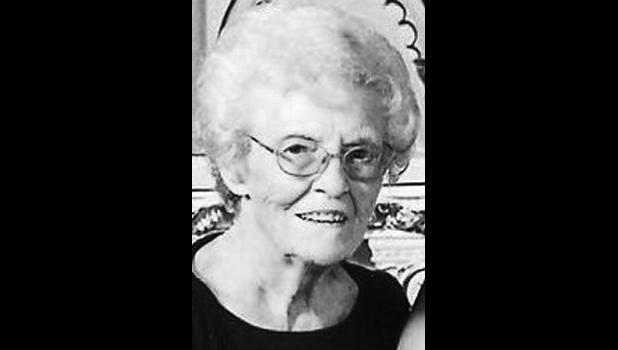 She was a member of Netawaka United Methodist Church and the United Methodist Women and a long-time board member and volunteer for Jackson County Friends of Hospice. She also served on the Whiting Community Project Committee and was a foster parent for more than 20 years, helping more than 70 children. She married Roland Dean Williams on June 7, 1945, in Topeka. He died Aug. 24, 2003. She was also preceded in death by a son, Karl “Scott” Williams, in May 2003; and three brothers, Forrest E., Carl Leroy and William S. Jones. Survivors include two sons, Roland “Dean” Williams Jr. and wife Carol, Whiting, and Clarence “Leroy” Williams and wife Pearl, Mayetta; six grandchildren; and 14 great-grandchildren. Memorial services will be held at 11 a.m. Friday at Mercer Funeral Home in Holton. Inurnment will be held in Netawaka Cemetery. Family will greet friends from 6:30 p.m. to 8 p.m. Thursday at the funeral home. Memorial contributions may be made to Jackson County Friends of Hospice, sent in care of Mercer Funeral Home, P.O. Box 270, Holton, KS 66436.